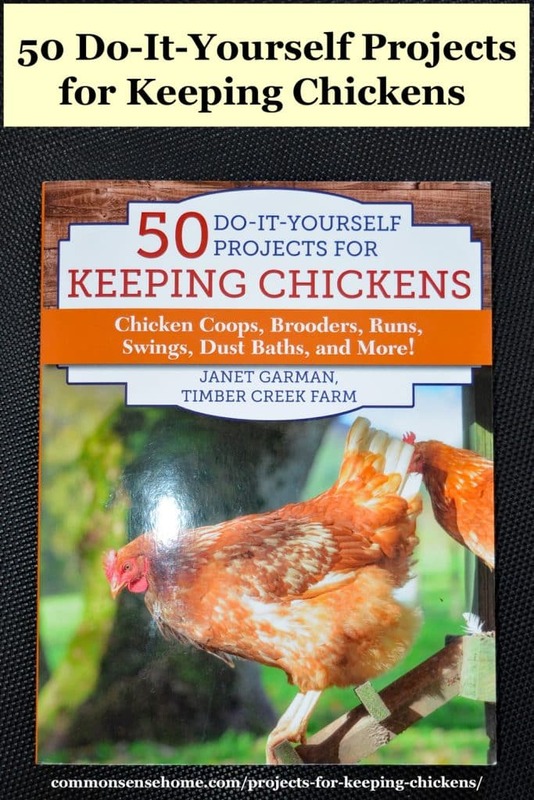 “50 Do-It-Yourself Projects for Keeping Chickens – Chicken Coops, Brooders, Runs, Swings, Dust Baths, and More!” by Janet Garman of Timber Creek Farm is a pleasure to read. You might think that with so many chicken care books already on the market, there would be limited need for another, but Janet will prove you wrong. This book is chock full of practical tips and projects, photos and step-by-step instructions. 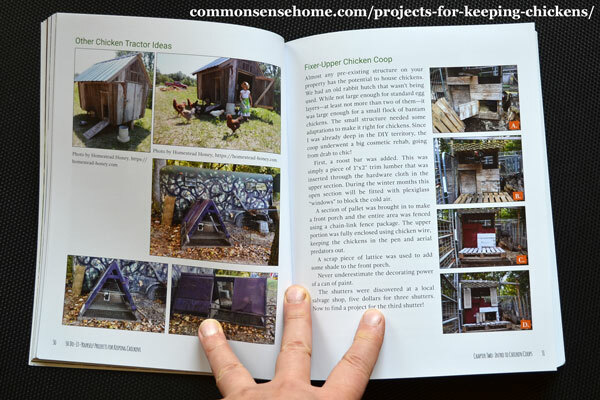 It's a great addition to the library of any chicken keeper, large or small. I had the honor of checking out a review copy before it went to publication. (You can spot my endorsement on the back cover.) Now the book is in print and I can share it with all of you! I love how Janet includes little “snippets” throughout the text highlighting important key information. The explanations are simple enough for beginners, but not condescending. Her focus is on functionality, not just making the chicken coop look pretty. (Not that there's anything wrong with that if you have the time, but I think most folks are primarily concerned with having a healthy, productive flock.) She's also very budget conscious, with plenty of ideas for upcycling what you have on hand or buying used and repurposing. 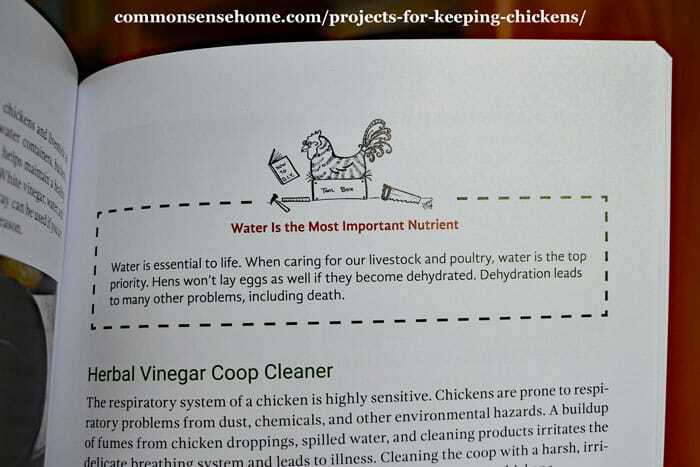 Along with tips on what you should do for your chickens, Janet also shares tip to avoid some of the most common mistakes. It can be heartbreaking to the new chicken owner to lose birds to a situation that would have been easy to prevent, had they only known that there was a problem. As a practical matter, we can't all let our chickens free range around the yard, so the forage planters are a great option to introduce fresh growing treats for your flock. Janet's listing of wild “herbs” and other plants is a friendly nod to one of my favorite pastimes, wildcrafting. (Wildcrafting is using wild plants for food and medicine.) It's good to know that some of my favorite wild plants are as good for chickens as they are for us, plus almost everyone can grow these “weeds”. I also love chapter 7 on First Aid. Chickens (and ducks) are sneaky about hiding when they are ill, so it's extremely important to know how to spot signs of trouble. Most vets don't care to deal with poultry, plus the cost of a vet visit is often steep, so it's important that you are able to offer basic care for your birds. Whether you're raising laying hens or meat birds, we all want the best for our flocks. 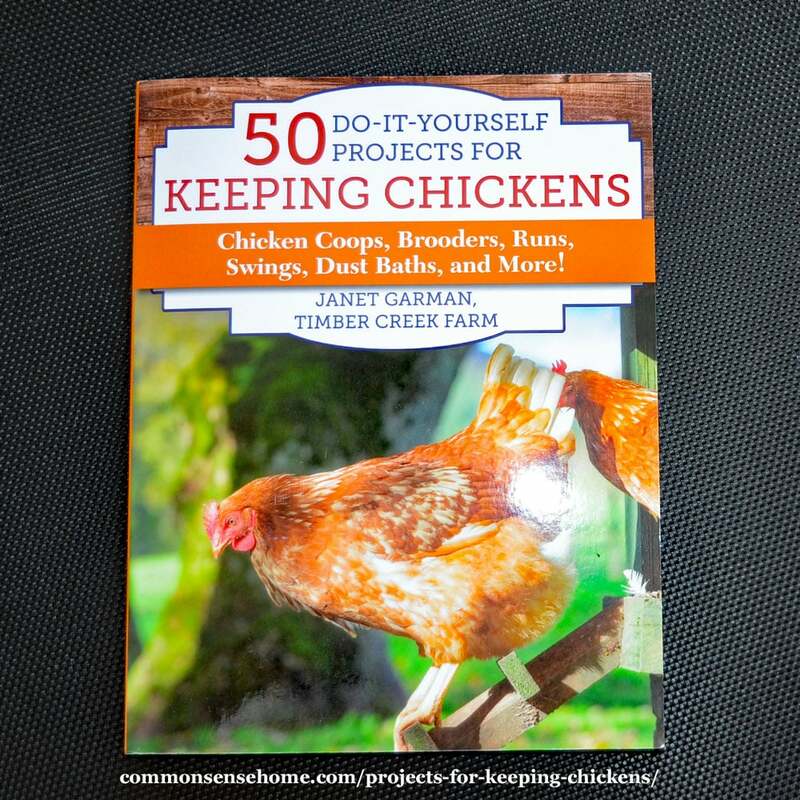 “50 Do-It-Yourself Projects for Keeping Chickens” provides you with a wide array of practical information to keep your flock happy, healthy and productive. I highly recommend it for all chicken owners. As a side note, I'm also very happy for my friend, Janet. I know how hard she and her husband worked prepping all the projects for photos, and the long hours spent writing. She provides excellent care to all the animals on their farm, and her lifelong commitment to animal husbandry shines through in this book. It's great for me to see people I personally know and trust sharing their knowledge with others. I think it’s possible to have both a pretty coop and healthy productive flock, but that’s just me! I am glad to see that herbs and natural supplements are becoming more mainstream in the last few years. I use both with my flock since reading a book years ago that talked all about them. As I mentioned, there’s nothing wrong with making your coop pretty as well as functional. For urban chicken keepers I highly recommend it. This book has both elements, but the emphasis is on providing a wide variety of affordable and practical options.